I was recently given Martha Stewart's "Encyclopedia of Sewing" book and my first project out of it ended up being laundry bags for each of the four of us. I personalized the boys' and left mine and Brett's bare. With all the traveling we'll be doing in the near future, I thought it would be nice to have some laundry bags that we could haul around with us. I've marked many other things in the book that I'd like to try. Hopefully I can start a new sewing project soon. 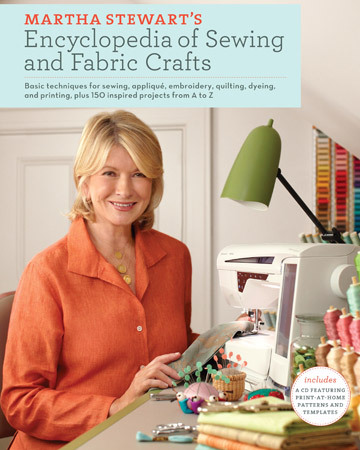 After looking through the book, I have started watching "The Martha Stewart Show" and there have been a few projects on there that I would like to try as well. I'm thinking that homemade sidewalk chalk might be next on the list. I'll let you know how it turns out! They look so good! I just finished Drake's little backpack, now I'm going to paint his initials on it. I don't think it looks as good as yours though. OK, I don't know where the OHS lacrosse thing came from but this was from your favorite MOMMIE. Thank you for visiting my link party!